YES #AtPune now, I have shifted to Pune now to join my husband. Since June had been busy in shifting 2 houses, house hunting and settling down with new job and new place. Shifting is a delight for type A personality like me as it needs a lot of planning, organising and of course cleaning 😀 ( its all in the beholders eyes after all ). Though it was hard leaving my practice in Hyd but I guess it is always a part of bigger plan. We rented out a 3bhk in Baner where one room is suppose to be my Tarot room, apparently everything else is setup except that. My house is huge infact can have workshops at my place. It’s surrounded by Baner hill ideal for trekking and have nomads having horses, goats and other animals living nearby. Life has changed so much! Started actually living the married life a.k.a getting UP at 7:30 am, cooking ALL meals, DRIVING to office, spending more than 9 hours in office on regular basis and regular weekend cleaning. Yeah I drive to and fro to office now and already had 2-3 minor to major accidents but all is well now. I had been procastinating doing readings lately. Delegating my client readings to my students in Hyd. They also did 2 events in Hyderabad and will share about that in another post under Tarot Reading @ Events. Infact now my sister has more Angel decks than me and is on way to enroll for CACR course too! So how come I am writing a post now?, Angels have mysterious ways to get work done. I had a slight right shoulder dislocation on last Saturday at New Delhi station during my post Diwali vacation. All is well now only thing I can’t drive for a while. So today on returning from office realised not having house key and am currently locked out. All of a sudden my sis pings on fb auguring me to post a blog. I took it as a sign reason being 2 days back when I got locked out ( yeah again!) in my french windows balcony, I landed up creating Heart Healing workshop event in Pune on allcityevents.com. Scheduled on 10th Feb, planning to have it from my house and do a 5 day Angel hosting before that. Hopefully Pune young crowd looking for heart healing before Valentine’s day would be interested! So from this weekend onwards I am again starting teaching a student Tarot, setting up my Healing room and do meditation, shall share pics. Lastly please pray for people stuck in #ChennaiFloods. “Dear God and Archangel Raphael, please help me to care about, and for, my physical body. I wish to feel and to have vitality and energy. Please release any fears I may have about living a balanced lifestyle. Please increase my motivation to exercise, eat healthfully, and take excellent care of my physical body. 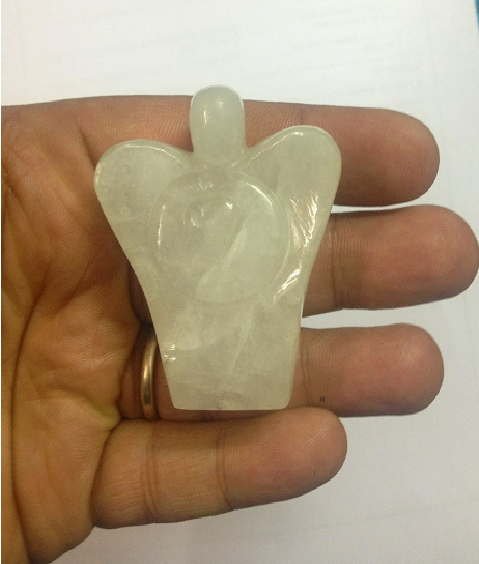 Green Aventurine Angel is good for people with health concerns. There are also many crystals related to specific health issues. 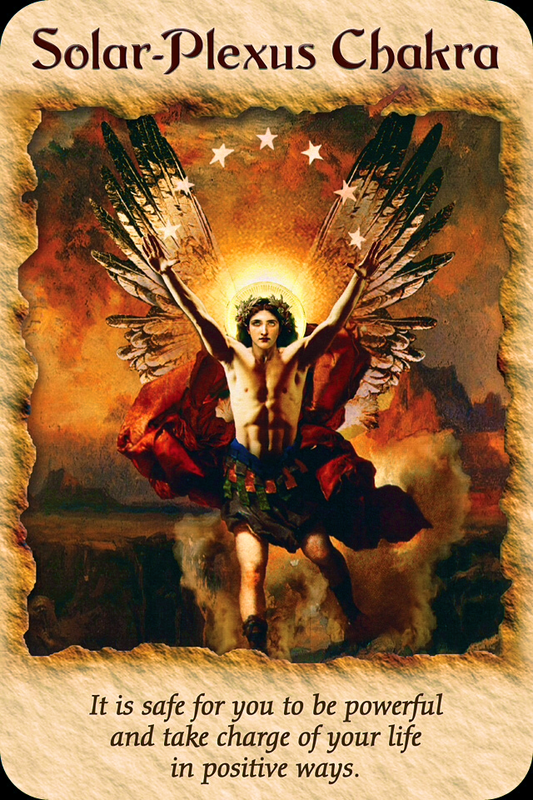 #Motivation #Affirmation # Archangel Rafael Healing with Angels Oracle cards. If you want have a deeper understanding, can do a “HEALTH SPREAD” reading or use “Archangel Rafael Healing with Angels Oracle cards“. Check out other healing Affirmations here. Subscribe to blog by clicking on “Follow” button to get these affirmation in your email box. We love to here from your experience and feel free to reach out for a question in comments below. My deepest desire is to be happy while I work, and I ask Your help so that I may find peace on the job. Please help me to be understood and understanding with everyone with whom I come into contact. Please clear me of any fear that trigger relationship conflicts in the work-place. I ask that You and the angels guide me to job responsibilities and tasks that match my interests and skills. I now visualize myself feeling happy when I wake up to go work in morning, and I ask Your assistance in manifesting this vision. Few days back I had shared an Affirmation for New Job, for those of you who want to stick around with their current job waiting for a raise, or working your way towards a promotion or just dealing with conflicts this is the affirmation you shall relate with. So just light a red or orange candle, use below picture of cards. 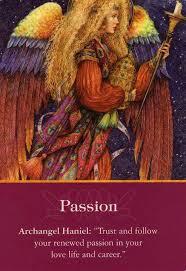 The cards I chose are “Passion” depicting “Archangel Haniel” of Archangel Oracle Deck and “Solar Plexus Chakra” from Angel Therapy Oracle Card Deck. Solar Plexus chakra is our power center just 2 fingers above the navel. If its balanced it would be of vibrant orange color else would get muddy due to impurities. 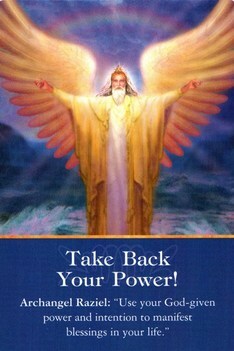 Often when we loose our power so that last card “Take Your Power Back” of Archangel Oracle Deck by Doreen Virtue. If you want have a deeper understanding, can do a “JOBSSPREAD” reading to analyse various career options and “BLOCK SPREAD” reading to understand who and what is causing these conflicts. Also we can do “Tarot and Affirmations” or “Tarot Spells” to heal the job conflicts. Should I go for job change or current job is better? Would I get a new job? Where, which company ? This offer or that? Should I go for better role or hike? These questions trouble all of us when we are venturing in job search. I have been through the similar process during my 4 job changes in 6 years :-). Hence, sharing the below affirmation which will help you in your quest. Tarot is a very accurate that can help you to analyse and choose between various options. If you want have a deeper understanding, can do a “CAREER SPREAD” reading to analyse various career options and Life Purpose Oracle Card reading to understand what is your true life purpose. 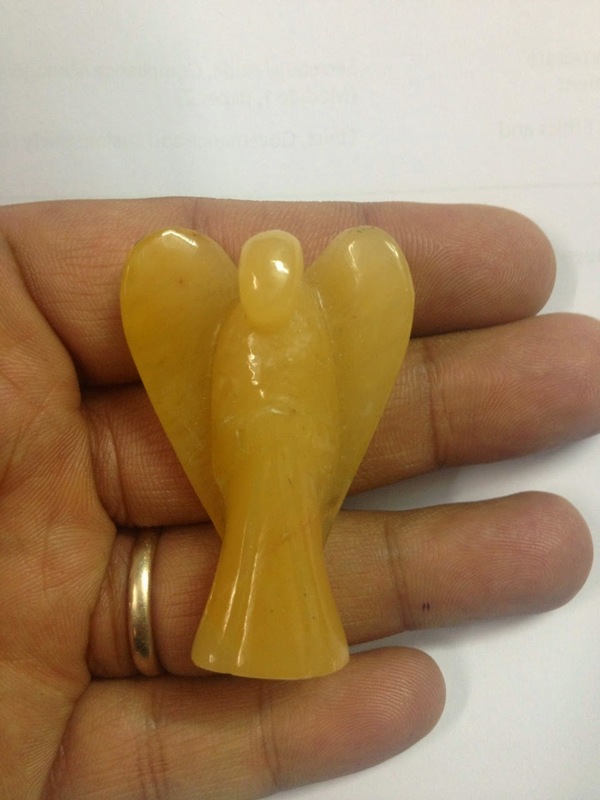 Also we can do “Tarot and Affirmations” or “Tarot Spells” to attract the job which you desire. Anant Chaturdashi is celebrated each year by Jains as an auspicious day to look within and seek forgiveness from each and everyone. Tomorrow is also a super full moon night. Use this day as to release you anger and resentment and seek forgiveness.